柏拉图论‘仁’ ("On Confucian Benevolence in the Philosophy of Plato"), tr. 刘旻娇 Liu Minjiao, in 伦理学术 Academia Ethica 4, ed. 邓安庆 Deng Anqing, June 2018: 29–45. "Extended Knowledge and Confucian Tradition" in J. Adam Carter, Andy Clark, Jesper Kallestrup, S. Orestis Palermos, and Duncan Pritchard, eds. Extended Epistemology. New York: Oxford University Press, 2018. 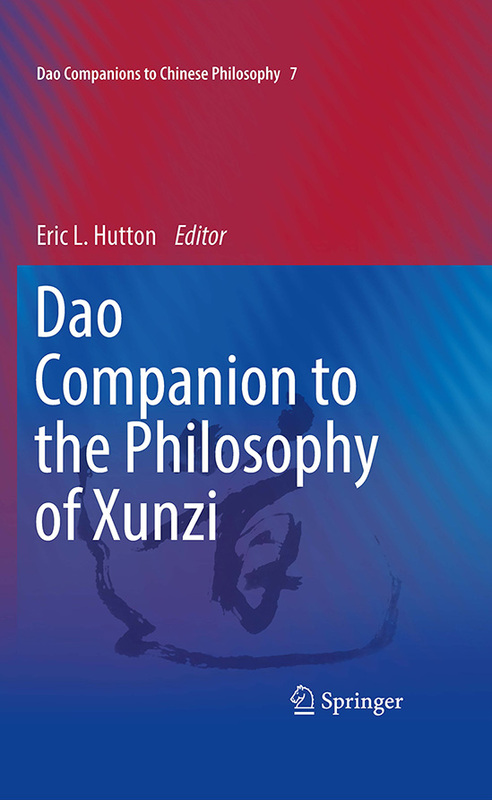 Dao Companion to the Philosophy of Xunzi. Dordrecht: Springer, 2016. "Xunzi and Virtue Ethics" in Lorraine Besser-Jones and Michael Slote, eds. The Routledge Companion to Virtue Ethics. Routledge, 2015. "A Note on the Xunzi's Explanation of Xing 性" in Dao 10:4 (2011), pp. 527-530. 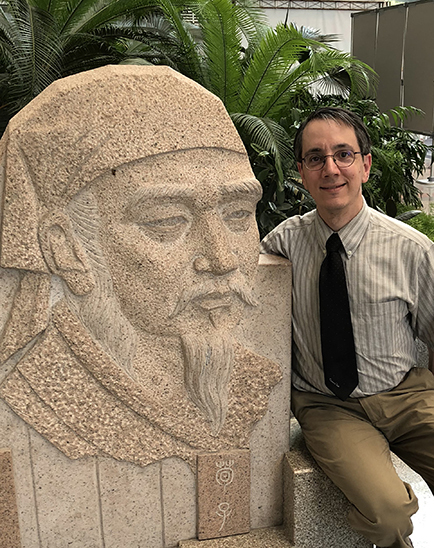 "Han Feizi's Criticism of Confucianism and its Implications for Virtue Ethics" in Journal of Moral Philosophy 5:3 (2008), pp. 423-453. "Un-Democratic Values in Plato and Xunzi" in Marthe Chandler and Ronnie Littlejohn, eds. Polishing the Chinese Mirror: Essays in Honor of Henry Rosemont, Jr. New York: Global Scholarly Publications, 2008. "Character, Situationism, and Early Confucian Thought" in Philosophical Studies 127:1 (2006), pp. 37-58. Philip J. Ivanhoe and Bryan W. Van Norden, eds. Readings in Classical Chinese Philosophy. 2nd ed. Hackett Publishing Co., 2006. Partially reprinted in Joel J. Kupperman, ed. Human Nature: A Reader. Hackett Publishing Co., 2012. Robin Wang, ed. Images of Women in Chinese Thought and Culture. Hackett Publishing Co., 2003. "Moral Reasoning in Aristotle and Xunzi" in Journal of Chinese Philosophy 29:3 (2002), pp. 355-384(30). "Moral Connoisseurship in Mengzi" in Xiusheng Liu and Philip J. Ivanhoe, eds. Essays on the Moral Philosophy of Mengzi. Hackett Publishing Co., 2002. "Does Xunzi Have a Consistent Theory of Human Nature?" in T.C. Kline and P.J. Ivanhoe, eds. Virtue, Nature, and Moral Agency in the Xunzi. Hackett Publishing Co., 2000.
Review of Sor-hoon Tan (ed. ), The Bloomsbury Research Handbook of Chinese Philosophy Methodologies, Bloomsbury, 2016 for Notre Dame Philosophical Reviews, May 2017.
Review of Loubna El Amine, Classical Confucian Political Thought: A New Interpretation, Princeton University Press, 2015 for Notre Dame Philosophical Reviews, January 2016.
Review of Dongfang Shuo 東方朔 [Lin Hongxing 林宏星], The Quest for Rationality: Collected Research on the Thought of Xunzi 合理性之尋求: 荀子思想研究論集. Taipei: National Taiwan University Press, 2011 for Dao 13:3 (2014), pp. 421-424.
Review of Amy Olberding, Moral Exemplars in the Analects: The Good Person is That, Routledge, 2012 for Ethics 124:1 (2013), pp. 197-201.
Review of Kurtis Hagen, The Philosophy of Xunzi: A Reconstruction, Open Court, 2007 for Dao 6:4 (2007), pp. 417-421, and A Further Response to Kurtis Hagen in Dao 6:4 (2007), pp. 445-446.
Review of Xiusheng Liu, Mencius, Hume, and the Foundations of Ethics, Ashgate, 2003 for Hume Studies 30:1 (2004), pp. 201-203.
Review of G.E.R. Lloyd, The Ambitions of Curiosity: Understanding the World in Ancient Greece and China, Cambridge University Press, 2002 for Notre Dame Philosophical Reviews, March 2003.